The human body is made to move, so it’s crucial that we plan workouts that allow us to move and flow quickly and fluidly. We are not meant to be glued to a stationary machine in the gym that put even the motivated of us to sleep. We are built to run, throw, twist, climb, jump, fall down and get back up. In fact, music can help us power through and move in ways we never thought we could. Creating the right playlist can be as important as the workout itself in motivating us to power through the next set. However, traditional wired headphones can sometimes restrict natural movement. It’s important that you have wireless earbuds that continue playing music and stay in your ears in your ears without getting tangled up when doing burpees or jumping rope. Thoughtfully created with fitness enthusiasts and athletes in mind, NOIZY Brands Earbuds have great audio performance, and have a lightweight and comfortable custom fit with Comply foam ear tips. Additionally, NOIZY Brands is a Red-dot award winner for their earbud design and packaging. 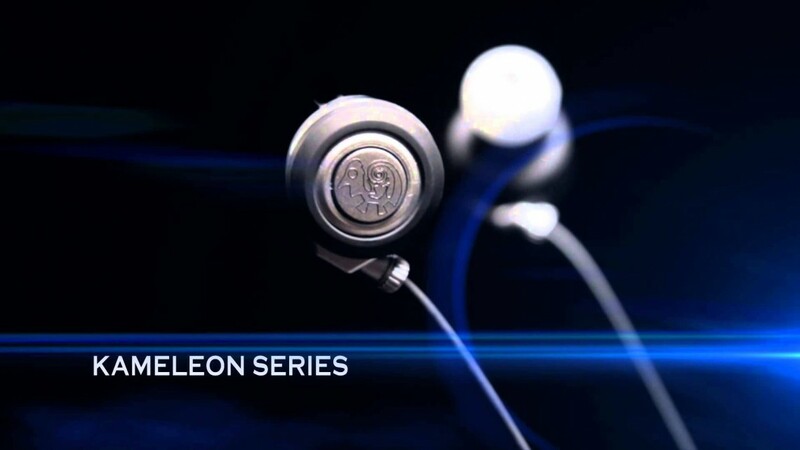 NOIZY Kameleon earbuds allow you to move freely, as there is just one small wire that wraps behind your neck to connect the two earbuds. 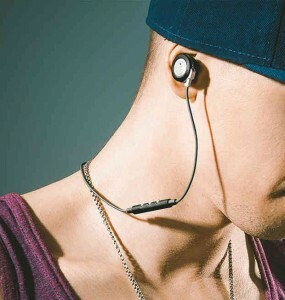 Multi-point pairing, noise cancelling, built in mic, crisp sound quality and also includes multiple sized ear bud tips. Also part of NOIZY Brand’s Kameleon series is the NOIZY wireless speaker, that’s great for outdoor use. If you are a cyclist, it has a bike holder option. 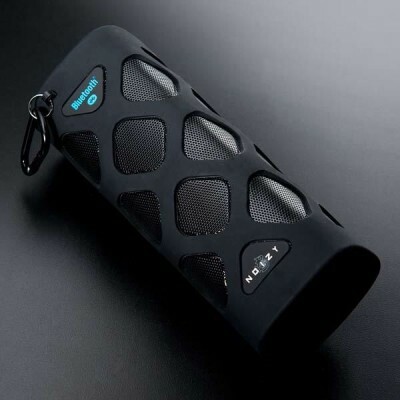 The speaker is also dust proof, water-resistant and beach ready.